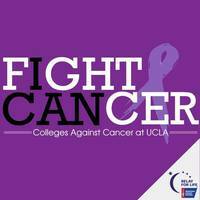 The UCLA Relay for Life is an annual 24-hour fundraiser for the American Cancer Society held at UCLA Drake Stadium May 4th 12pm - May 5th 12pm. Registration for the entire event is $15, which includes registration for the 5K run/walk on Sunday, May 5th! Registration fees increase to $20 April 1st, and to $25 April 27th.